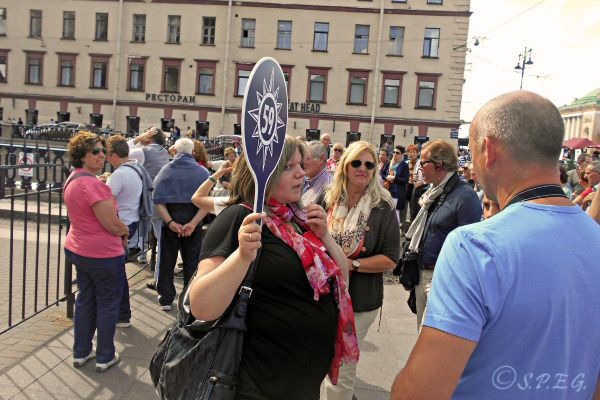 Nowadays traveling to St Petersburg on a Cruise Ship is a popular and alternative travel option, but it has both positives and negatives. The positive side is that being a cruise passenger you don't need to apply for a Russian visa, regardless of what country you come from. A new Russian law states that you can stay visa free in the Russian territory for three days if you meet a few simple criteria. The negative side is that the time available to you to explore the former Capital of the Russian Empire will be very short. This is a pity because in just two or three days you will only scratch the surface of our Russian city. That said, to visit St Petersburg Visa Free you have two options: you can buy a traditional package shore tour with your cruise ship (Expensive, crowded, and very touristy), or buy a private tour with a licensed local tour company (Your best choice, if you wish to tour the city on your own and at your own pace). Depending on which excursion you choose, the tour itinerary will be different as will the price, the route and the service. Between the two options, many visitors prefer to deal with a local tour company because they are aware that their private shore tour will be less expensive, more entertaining and fully customizable compared to an expensive and crowded ship sponsored tour. The final choice is up to you; but remember, ship companies are not certified to do any St Petersburg Shore Excursions; they just resell others' excursions and make money from it. If you are keen to book a private shore tour please see below our sample tour itineraries, read our tips, and feel free to contact us for more information. To learn more just click on the links below. If you have only one day at your disposal take this essential Action Packed Shore Tour and get a quick overview of the city. Visit one of the largest and oldest museums in the world together with the most beautiful Royal Residences in the city and, immerse yourself into the history, culture and art treasures of Russia's Northern Capital with an expert local guide. One of our professional guides will meet with you at the sea station as soon as the ship is cleared. Then our guide will take you to the vehicle parked just outside the port terminal. You will start your day with a Grand City Tour covering the major sights of the city with photo stops combined with an inside visit to St. Isaac's Cathedral, Church on the Spilled Blood, and Peter and Paul Fortress's and Cathedral. For lunch you'll stop at a local Russian restaurant, so that you can taste traditional Russian food. After lunch you'll enjoy a walk along Nevsky Prospekt to experience a bit of everyday Russian life, and do some shopping combined with a visit to the famous Hermitage Museum. At the end of the tour you'll return to the port terminal before your ship scheduled departure. Group Size: Up to 4 People; Up to 6 People; Up to 20 People or more. Languages Available: English, Italian, French, German, Spanish, Portuguese, Greek, Chinese, Bulgarian, Russian. Entrance Tickets to museums shown on the itinerary. Our 10% Service fee to help you arrange the tour. Exclusions: Food and Drinks; Headphones for groups larger than 10; Tips to the tour guide and driver. Options: You can customize this tour as you like, time permitting. Ideal for: Cruise Passengers (families with kids, couples, friends, small or large groups, and anyone who want to tour individually). 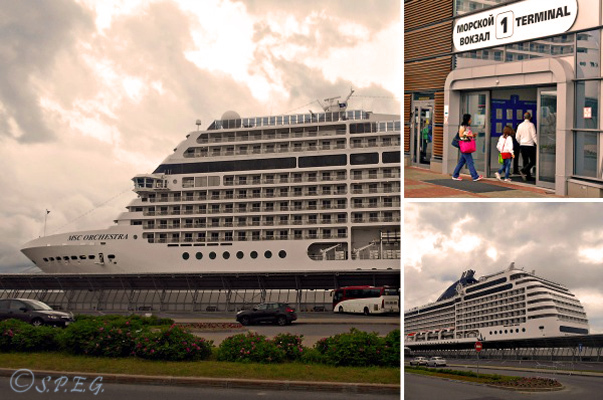 If you're coming to St Petersburg by ship and you have only two days, no worries! This comprehensive two days Action Packed Shore Tour will give you a great introduction to the city and let you see the most sought after sights. 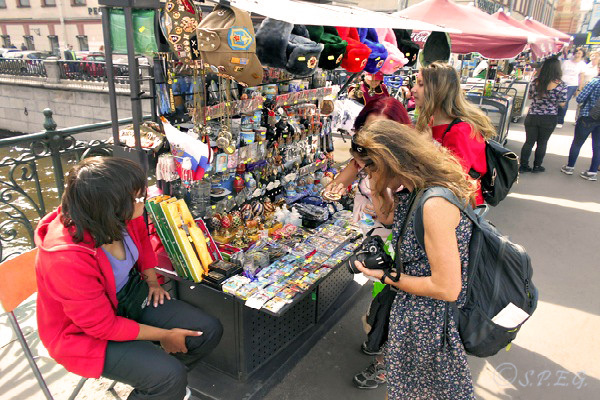 You will enjoy the company of an expert local guide who will tell you everything you want to know, taste traditional Russian food, buy Russian souvenirs, and much more. 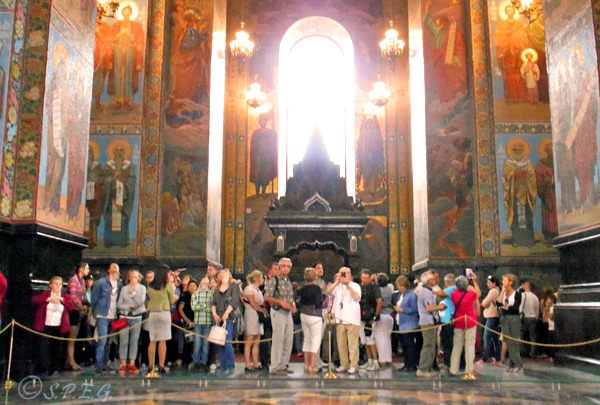 You will start your day tour with a Grand City Tour covering the major sights of the city with photo stops combined with an inside visit to St. Isaac's Cathedral, Church on the Spilled Blood, and Peter and Paul Fortress's and Cathedral. After lunch you'll enjoy a walk along Nevsky Prospekt to experience a bit of everyday Russian life and do some shopping combined with a visit to the famous Hermitage Museum. At the end of the tour we will bring you back to the port terminal. One of our professional guides will meet with you at the sea station as soon as the ship is cleared. Then the guide will take you to the vehicle parked just outside the port terminal. You will start your second day with a visit to the small town of Pushkin, known also as Tsarskoye Selo, where you will be guided through the famous Catherine Palace and its amazing park complex. For lunch you'll stop at a local cafe nearby, and soon after we will take you to Peterhof for a short visit to the Grand Palace or the Park Complex (Lower/higher parks and gardens). At the end of the tour you will return to the port terminal before your ship scheduled departure. 10% Service fee to help you arrange the tour. Ideal for: Cruise Passengers (families with kids, couples, friends, small or large groups who want to tour individually). Let us introduce you to Russia's Northern Capital and its most important historical sights with this three day complete Action Packed Shore Tour. Take in as much as possible of the city's history, culture and secrets with an expert local guide and have fun. See all the best St Petersburg attractions in a very short time and experience a bit of local life by visiting a local market or by taking the metro. You will start the day with a Grand City Tour covering the major sights of the city with photo stops, combined with an inside visit to St. Isaac's Cathedral, Church on the Spilled Blood, and Peter and Paul Fortress's and Cathedral. For lunch you'll seat at a local Russian restaurant, so that you can taste traditional Russian food. After lunch you'll go for a walk along Nevsky Prospekt to experience a bit of everyday Russian life, and do some shopping combined with a visit to the famous Hermitage Museum. At the end of the tour we will take you back to the sea station. One of our professional guides will meet with you at the sea station as soon as the ship is cleared. You will start your second day with a visit to the small town of Pushkin, known also as Tsarskoye Selo, where you will be guided through the famous Catherine Palace and the amazing park complex. At the end of the tour we will bring you back to the sea station where your ship is dock. You will start your third day with a visit a the local food market Kuznecniy on Vladimirskaya combined with an inside visit to the Our Lady of Vladimir Church situated nearby. The you will take a Subway ride to get a glimpse of the Metro with a stop at Gostiny Dvor Shoppin center, and Kupetz Eliseev Food Hall (A beautiful Art Nouveau specialty food shop with live piano music), time permitting. Quick lunch at a local cafe such as Cafe Stolle or Teremok, and soon after return to the sea station before your ship scheduled departure. Ideal for: Cruise Passengers (families with kids, couples, friends, small or large groups who wants to tour individually). Thinking of taking a ship sponsored excursion? If so, think twice! If you are thinking about taking a cruise ship sponsored tour, that's fine as long as this is your choice and not the choice of the cruise operator or any travel agent. Many cruise ship companies or agents will desperately try to sell you their shore city excursions because they make big profit from them. St Petersburg Shore Excursions with the ship company. To achieve their goals, they try to make you believe that if you are not on an excursion purchased through them you must have a Tourist Visa from a consulate in order to go ashore. To persuade you they may even tell you that you cannot leave the ship until you have done an excursion with them first, or that you cannot disembark as early as the passengers taking their sponsored cruise ship tours. Well... All of this is not true! For your information, you can choose to Tour St Petersburg with a ship sponsored excursion or with a licensed local tour company. And, according to the Russian law, a cruise ship cannot hold passengers on board against their will as long as they have the proper documents. This means that you are free to exit the ship as soon as other passengers start to disembark. But in order to do that, you need to hold a valid tour voucher which is a sort of legal document that temporary replace the need of the visa. Wondering what proper documents you need? A copy of your tour vouchers bought from a local tour guide or a tour company of your choice before you arrive. Don't want to buy the tour on the ship? 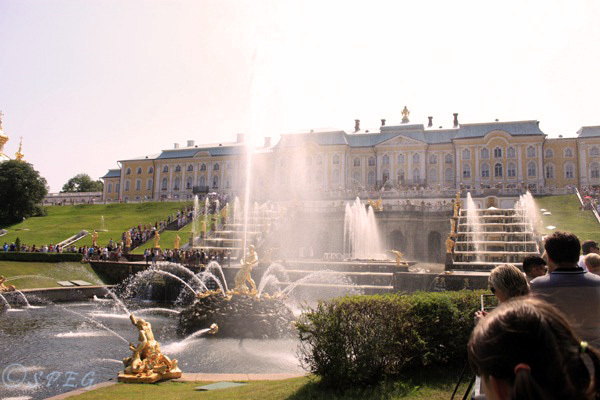 Looking for alternative St Petersburg shore excursions? We can help! If you're looking for a great alternative to the on-board sponsored ship company tours, stop worrying and searching, you are in the right place! We, Davide and Anastasia, can help you to organize a customizable private shore tour for one, two or even three days at a reasonable price before you come. Remember, cruise ships do not give tours, they contract with local specialty tour companies to sponsor and supervise their passengers who sign up for ship-sold shore excursions. Book your tour a few months ahead, so you can find a good local guide or tour company and customize your tour as you wish. Make sure you return to the ship on time or earlier. Usually there is a long line at customs, both when leaving the ship and when getting on. When taking a tour that is not organized by the ship company, remember that your cruise ship may not wait for you if you get back to the sea station late. By law, they are not required to wait for you unless you buy a tour with them. So returning to the ship two hours before is recommended. The Hermitage Museum, like other important historical places, is usually very crowded, so don't lose your guide or the group you've joined because you may never find them again. If you have only one day, go for a panoramic tour. If you have two days, spend the first day touring around the city and the second day visiting the Imperial Estates Near St Petersburg. If you have got three days, try to see as much as you can and do something different like going for an Alternative City Tour or taking a Canal Boat Tour. You can find a number of good private tour companies in the city (including us☺) that offers St Petersburg Shore Excursions for visitors who prefer not to choose the crowded and classical ship-sold tours. The tour voucher is a document arranged by a licensed tour company along with the Russian authorities. On the document is shown your complete city tour itinerary for your chosen travel dates along with your full name, and the name of the tour guide assigned to you. To arrange the tour voucher takes a number of days, so we recommend to book your private shore tours well in advance. Remember, as a cruise passenger you cannot walk freely in the city but you must be accompanied by a local tour guide for the whole time of your excursion. However, if you come on a ferry with St Peter Line, things are lightly different. Don't pay attention to any hostile attitude you may feel when you are going through the Russian immigration office. Outside, the atmosphere will be much better.